Two former Texas A&M environmental design students, with the help of a wildly successful online fundraising campaign, will soon bring to market what wired.com calls "the most useful accessory you could buy for your iPhone." It's called a Glif, and it was designed by Dan Provost and Thomas Gerhardt, who earned Bachelor of Environmental Design degrees in 2007. In addition to working as a kickstand to hold an iPhone up at an angle, it's a mount for a standard tripod. The Glif greatly improves a user's interaction with any number of the iPhone's applications such as FaceTime, or watching videos, making movies, using the iPhone as an alarm clock, and many, many more. 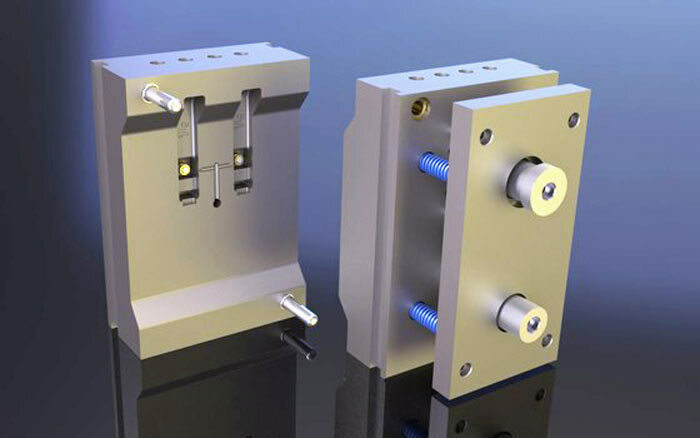 After settling on a design, the pair needed $10,000 in setup costs for Premier Source, a South Dakota company, to manufacture the Glif using a process called injection molding using a recyclable, hard rubber substance called Santoprene. They posted a fundraising announcement online and received more than 13 times that amount, $137,417; they stopped accepting funding after Nov. 2. According to the device's Twitter page, Provost and Gerhardt are hoping to have Glifs available for the holiday season. "The idea for the Glif was first formed when we realized the iPhone 4 is literally the best camera we've ever owned," said the design duo on the Glif's home page. "Our goal was to create something small, simple and elegant. Because of its small form factor and Apple's minimalist design approach, it will never contain a threaded nut for attaching a tripod, standard on almost all photo and video cameras. Solutions for mounting an iPhone to a tripod exist … but they are typically bulky and cumbersome." The Glif also works as a stand to view content on the iPhone's screen. "The beauty of the design we finally arrived at is that it allows the iPhone to be positioned at a variety of different angles and orientations," they said. Follow the Glif on Twitter: @theglif.